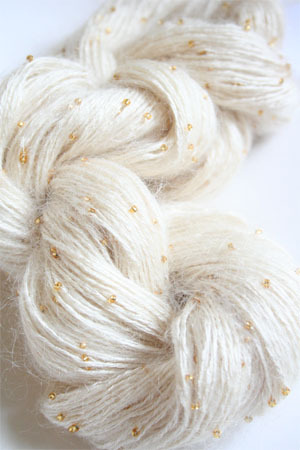 Soft, natural white with gold beads. Stunning! !